Want an awesome looking premium phone at a less than premium price? Then check out the TigerMobiles.com range of deals on Huawei hand sets. Good looks, awesome specs, fast speeds, and all for less than you might expect! All you need to do is check out our simple comparison tool below to find fantastic deals on Huawei phones. 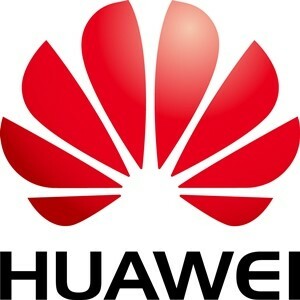 Chinese company Huawei was founded in 1987 as a telecoms infrastructure firm. They rapidly diversified into making electronics, including mobiles, but didn't release mobiles under their won brand name until 2013, making them fairly new to the UK market. These days, Huawei are best known for bringing premium end design and specs for budget friendly prices. The Huawei Nexus 6P: Huawei partnered up with Google to produce the hardware for the internet giant's top end Nexus phone. The 6P gives you octo core processing, a 5.7 inch screen, 3 GB of RAM, and a 12 MP rear camera, along with the purest Android experience on the market. The Huawei P9 Plus: The biggest of Huawei's flagship P9 range, the P9 Plus gets octo core processing, a 5.5 inch screen, 4 GB of RAM and a 12 MP rear camera. The Huawei P9: The regular P9 comes in a little smaller, with a 5.2 inch screen, though you still get octo core processing, 4 GB of RAM and that 12 MP rear camera. The Huawei P9 Lite: Finally, the more budget friendly model in the P9 range is the P9 Lite, which gives you octo core processing, a 5.2 inch screen, 3 GB of RAM, and a 13 MP camera. This is also a dual SIM model, so it can accept two SIM cards simultaneously. Though Huawei are new to the UK market, they are making a big name for themselves by supplying high quality mobiles at very affordable prices. So why should you invest in a Huawei phone? Huawei phones are a great choice for budget shoppers, but even if you're not on a strict budget they're exceptional phones. You'll get great performance specs, beautiful design, and a reliable mobile from one of the UK's newest manufacturers. So start by checking out our simple comparison tool to find the best deals on Huawei phones.